Since 1983, Martial Arts America Williamsburg/Milford has been providing instruction in the martial arts. Our 9 locations: Amelia, OH./ Anderson, OH./ Eastgate, OH. / Kenwood,OH./ Landen, OH./ Milford, OH./ Independence, KY./ Wilder, KY. and this location in Williamsburg, OH. We are located at 127 NORTH THIRD ST. WILLIAMSBURG, OHIO 45176. "SEE HOW OUR PROGRAM CAN BENEFIT YOU"
If you are currently a member, we hope you will check in often as we will frequently post updates, events and information for the school. We offer several exciting programs designed to meet the needs of both children and adults. The Karate for Kids program is designed for ages 6 through 12. We teach character development, stranger danger, and bully busting. As well as confidence building segments in our classes. 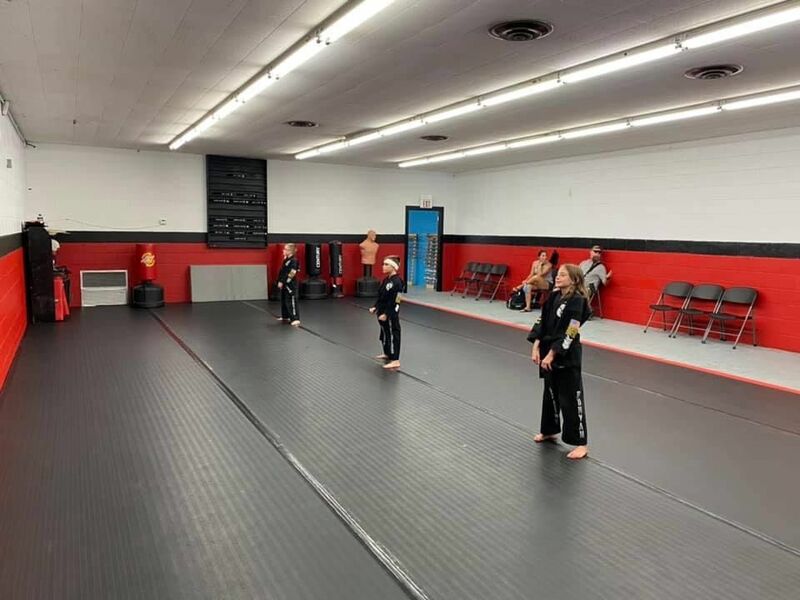 Our Street Smart Martial Art program is for anyone ages 13 and up that wants to learn a wide range of self defense skills from close quarter, grappling, throwing, knife defense, and ground defense.